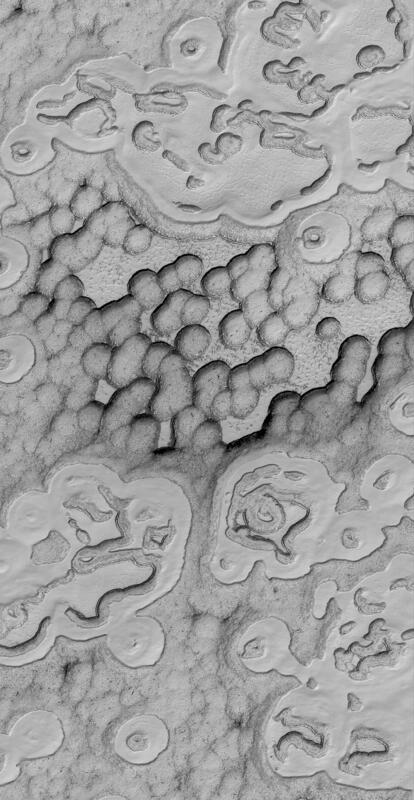 This Mars Global Surveyor (MGS) Mars Orbiter Camera (MOC) image shows a spectacular summertime view of a portion of the south polar residual cap. 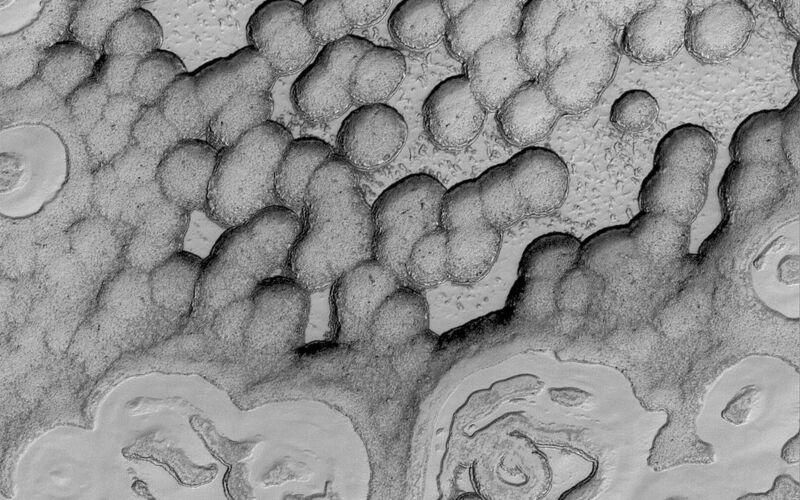 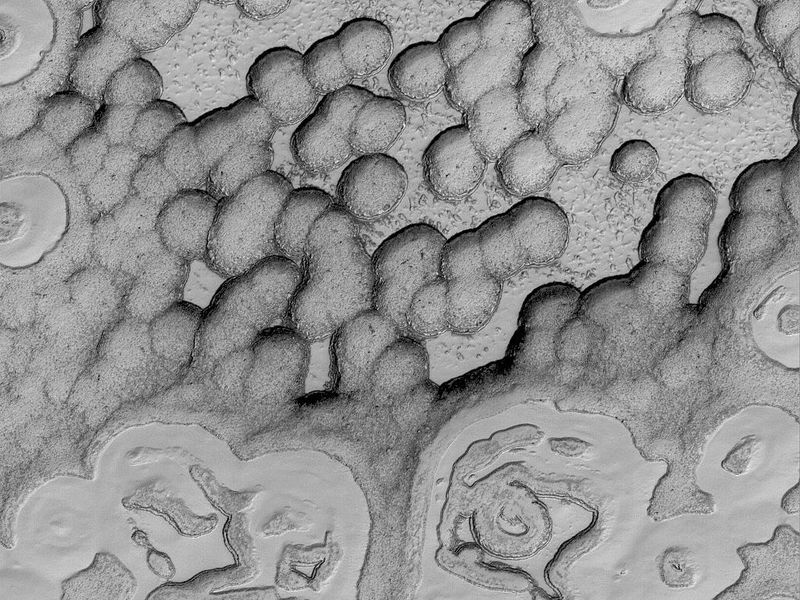 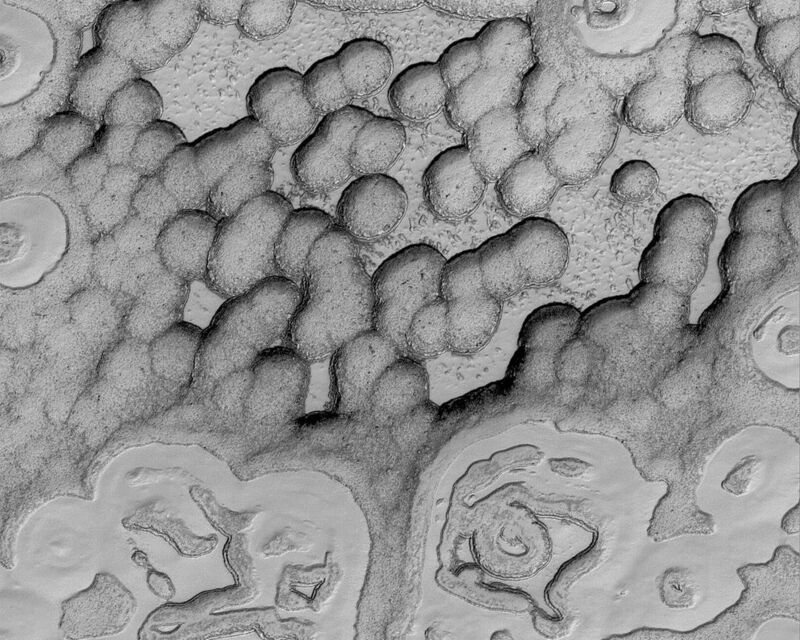 Large, semi-continuous mesas are separated by circular and other oddly-shaped depressions. These features are all formed in frozen carbon dioxide; the scarps which bound the mesas and pit walls retreat at a rate of about 3 meters (a little more than 3 yards) each martian southern summer.